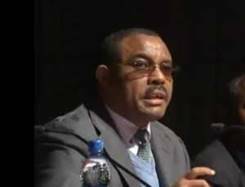 Addis Ababa, March 12, 2016 (FBC) – Prime Minister Hailemariam Desalegn will hold discussion with intellectuals on Ethiopia’s journey towards renaissance on Tuesday, March 15, 2016. Ethiopia’s current socio-economic and political situations will be discussed at the event organized by the Ministry of Science and Technology (MoST). During the discussion, participants are expected to raise various ideas which help to accelerate the economic growth of the country, according to a statement MoST sent to FBC today. This is wonderful news. In order for Ethiopia to move forward and make the Growth and Transformation Plan successful it is a must the intellectual community as well as the private sector is involved wholeheartedly.